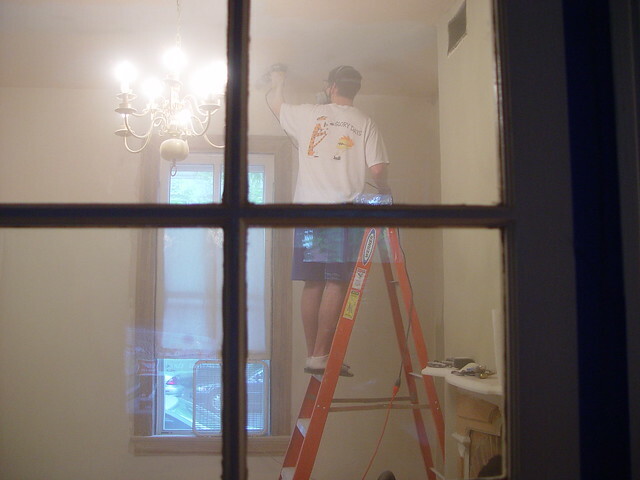 Holes in the ceiling, dust on the floor, mess all around, and when it comes to projects, there's always more, more, more. In DIY, like in life, coping is an important skill to master...or at least a skill one must make an attempt at mastering. But what is it to cope? (of a person) deal effectively with something difficult. "his ability to cope with stress"
(of a machine or system) have the capacity to deal successfully with. "the roads are barely adequate to cope with the present traffic"
The thing is, when I'm talking about coping and DIY, I could actually be talking about a few different aspects of the above definition. For example, a heathy dose of denial might be the best way to cope with a home disaster, but a jigsaw may be my tool of choice when coping a joint. Over the years we've taken on a lot of projects in an attempt to master various skills...or become slightly more than mediocre at them. And while I've gained a good amount of confidence when it comes to moulding, one of the things that intimidated me tremendously for the longest time is my lacking skills when it comes to coping a joint. 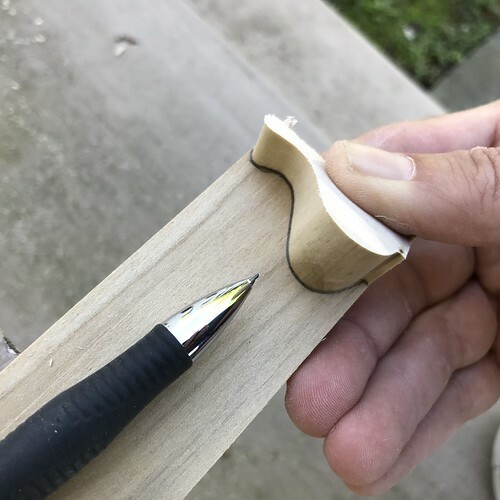 If you're not familiar with coping as a way of fitting two pieces of wood together, and your typical coping mechanism when talking about making a corner joint in moulding is to drop to the floor and assume the fetal position, let me fill you in on a few tips and tricks that help me cope with the daunting task of coping. 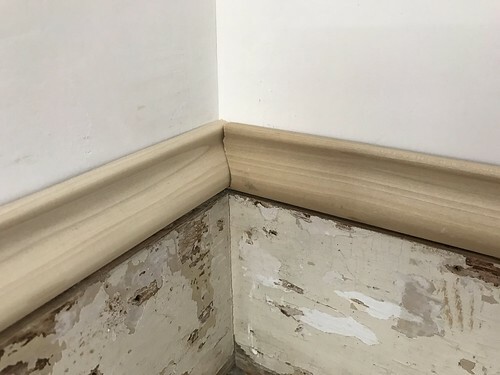 When you're working on crown, baseboard, or any other moulding projects that make an inside corner, such as in the corner of a room, you have a few options to make that intersection look clean and professional. 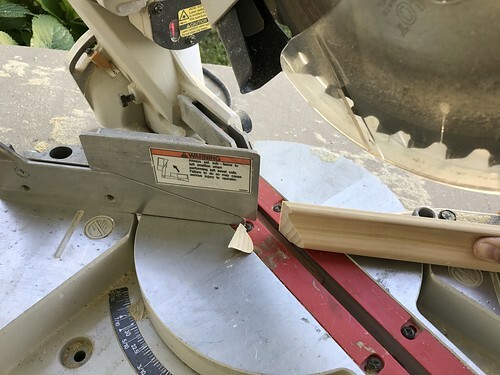 The old standby method of making an inside corner joint is to grab your miter saw, set the angle of the saw to the appropriate angle of the corner joint (often specified by many tables of calculations that involve complex angles when it comes to crown moulding), and cut each piece of moulding so it matches up evenly in the corner. 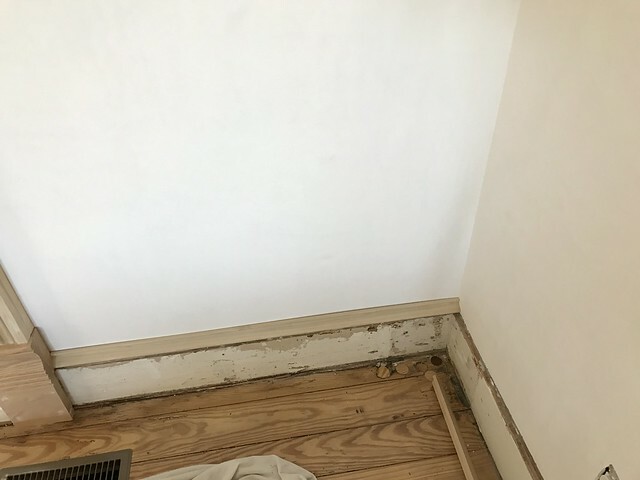 While this all sounds fine and dandy, when your corners aren't quite 90 degrees, and your ceiling, walls, or floors aren't exactly plumb or level, you often end up with pretty sizable gaps or ugly joints. You typically cope with those issues using copious amount of caulk. However, there's another way, and would you believe it, its called, wait for it, Coping! It's related to part two of the definition above, "(of a machine or system) have the capacity to deal successfully with." In the case of "coping a joint," we're talking about the system as the moulding, and how we're giving the ability for one piece of moulding to deal successfully with another. This happens by leaving one piece of moulding uncut, and then cutting the second piece of moulding to match the profile. The first time I hung crown moulding in our living room, Wendy took one look at all of the problems and said "Uhhhh...maybe we should have hired someone?" I had mitered and not coped the corners, and Wendy wasn't coping very well with my amateur first attempt at crown. In retrospect I was far too nervous to cope the crown, but I shouldn't have been. I actually think it would have been a little easier and I wouldn't have drawn the doubtful eye of my lovely wife quite so rapidly in our early days of DIY. But she was right, it did look like crap before caulk and paint. Now that I have many rooms of crown moulding, baseboards, and various other inside corner mouldings under my belt, I've gotten pretty comfortable with coping. I've even developed a few favorite approaches to coping. You might even call them my preferred coping mechanisms. Let's take a second today to talk a little about my best practices when it comes to coping, and how it becomes a bearable task when you have a few favorite tools. First things first with coping, you need to figure out which of your two boards you'll be cutting, and which one you'll be leaving at length. I like to work my way around the room placing the very first board on the wall that goes from edge to edge, no cut or copes. Then I stack in the second board to begin the coping process. For our example today I'm going to be covering how I cope my baseboard cap joint in the living room in our Foursquare. 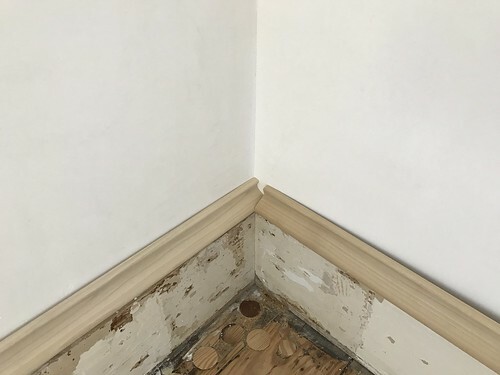 In the case of the photo above, you can see that the baseboard cap moulding on the left goes all of the way to the wall, while the piece on the right will need to be coped to match the other piece. Also in the above photo, I need to work on coping with the fast that one of my wood plugs was just a bit too low and didn't get sanded with the rest of them. I'll handle this by telling myself that the shoe moulding will eventually cover most of it, and the remaining visible section will only be noticed by the closest of inspections. Yes, my coping here is through justification. Okay, back to woodworking. The first thing we're going to do here is to cut the right board as if we're mitering the joint. This is a 90 degree angle, so I set the miter saw to 45 degrees and cut only the right board as if it were going to be mitered. 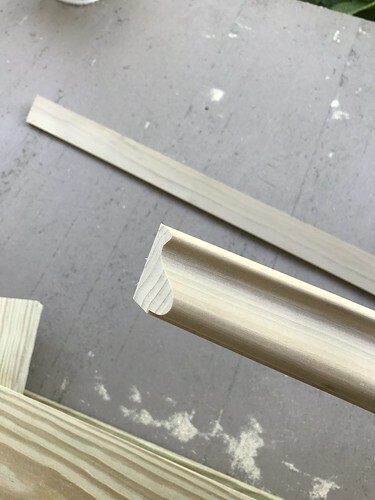 The thing about making a cut as if you're mitering is that the cut reveals exactly the material you should be removing from the moulding. You can see from this end piece that I'll need to remove all of the moulding on the flat section of the piece miter cut. The next step in my process is to determine the cut I'll be making from the back of the moulding. I do this by using a small scrap piece of molding and creating the profile cut line I'll need to follow with my saw. This is an instance where my own personal method for coping deviates from the more traditional coping approaches. I like to make my initial cuts from the back of the moulding stock rather than the front. I do this for several reasons that I'll explain later. Classic coping tends to use a small coping hand saw and some clamps to hold the work steady. I know I tend to like the old school methods for woodworking, but this is one case where I pretty much despise using a coping saw. I feel like it takes too long and I'm always struggling to get it just right. 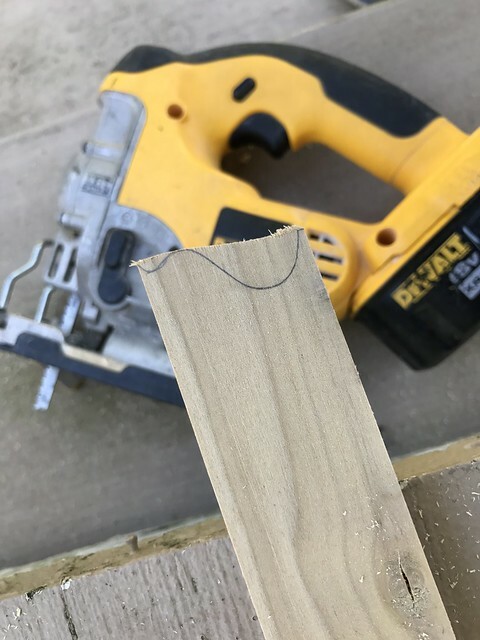 Perhaps I need to try the coping saw more to get the hang of it, but my tool of preference is to use my variable speed cordless jigsaw. This is one of the main reasons I like making the cut from the back of the stick. 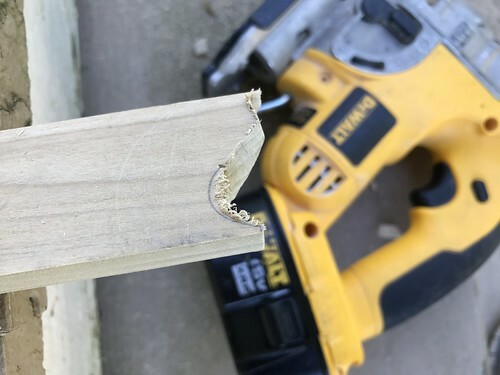 The jigsaw can damage or scratch the front of stock while cutting, so if I'm making my cut from the back, I don't have to worry about the dings the jigsaw plat can put in the wood. When I'm making my cuts I just keep taking a little more out of the material with each pass. These steps repeat until I'm able to get a good clean cut that is close to working well with the joint. Once I'm close I flip the moulding over to see how I'm doing and how close I am to my desired cut line and make my first test fit of the process. It was close, but not quite perfect. Typically this test fit is still a good deal off. In this case, since I knew I wanted to use this as an example, I colored in the remaining wood that needed to be removed using my pencil. This little bit of excess is what stood in my way of a solid looking coped joint. 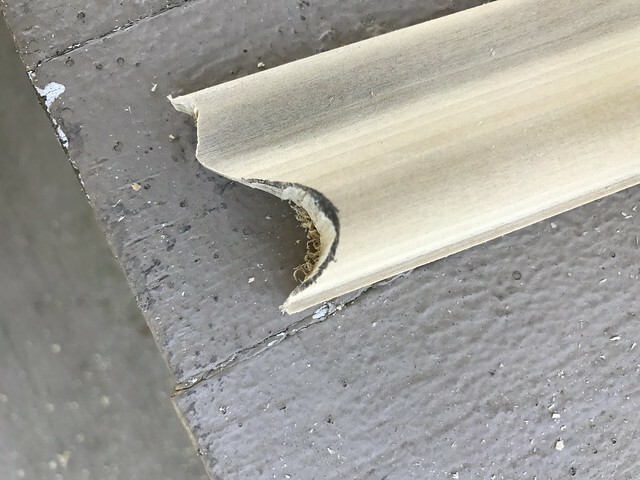 Working with the jigsaw on the front of the moulding, I carefully nibbled off a little material at a time. I also made sure I angled the blade in on the back, which would ensure there would be no obstructions behind the front of the joint where I couldn't see. You can see from this photo that the jigsaw still dented the moulding just a little, but this will sand out easily. It's much better to make small cuts from the front than to do the whole thing. After several more passes making little cuts at a time, I eventually get to a point where the joint is looking pretty good. Once I'm happy I clean up the rough areas with a small round wood file to remove any heavily jagged leftovers. I you'll notice, this joint is close, but it's not perfect. I could have kept working to get it exact, but the important thing to note here is that we'll be painting this moulding, not staining it. 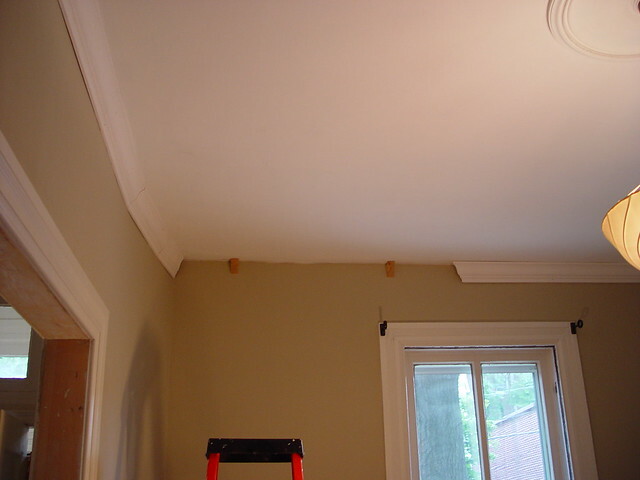 When you're not staining the moulding you can leave a little gap and just fill it in with caulk. I like to backfill my joints with BigStretch caulk to ensure a nice a solid joint for many years to come. 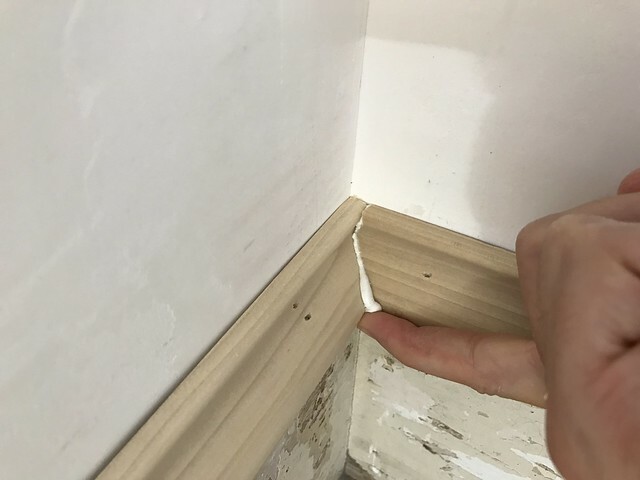 Once the caulk is in place and the moulding is cut to length, all that's left is to put the joint together, nail or fasten, and then clean out the little bit of excess caulk that likely squeezed out of the joint. 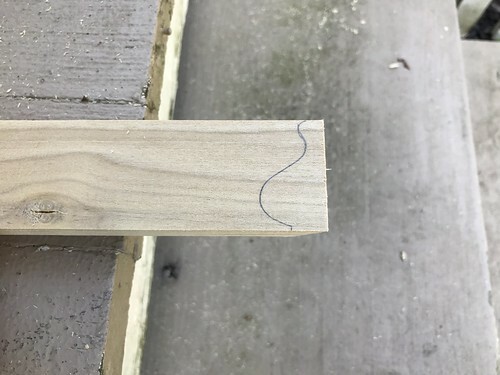 The end result is a great looking joint with less changes of separating over the years and generally a better and more achievable look than traditional mitering. 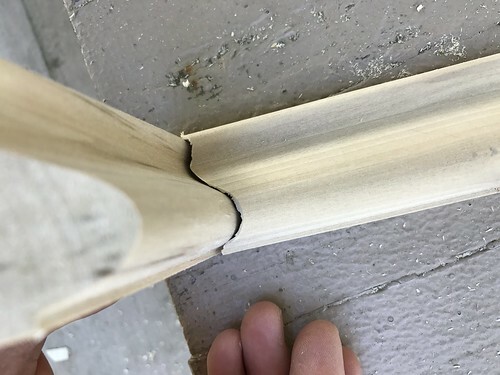 The joint is also much stronger than mitering and tends to fail far less often in the home. 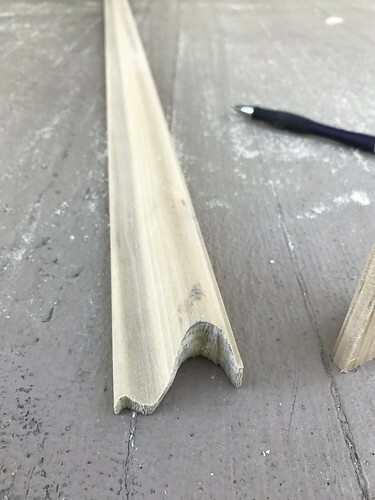 As I mentioned, I like to work my way around the room, placing a piece of moulding, coping the end, then trimming the other end to fit the area before coping the next piece of moulding. After all these years, you could same I'm a serious coping convert that has begun to taking his coping seriously. Yes, projects take a long time to complete, and yes, some projects cause a lot of sweat, tears, and even blood. We all have coping mechanisms when it comes to dealing with these frustrations. Some lash out in frustration with threats of hiring people to finish the work, while others curl into a ball and ignore what's going on. (I'll let you draw your own conclusions on that one.) But when it comes down to it, the best means of coping is often to acquire the skills necessary to execute a given project the way you'd like. 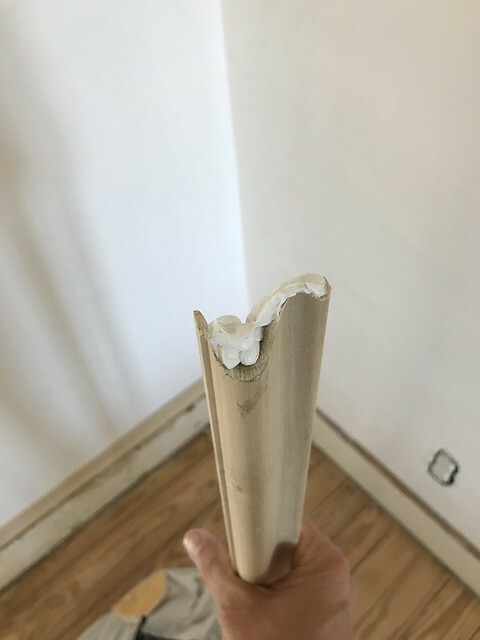 In this case, I hope my guide above will help you cope with moulding adversity by giving you the basis for the skills you need to cope a moulding joint like a pro. 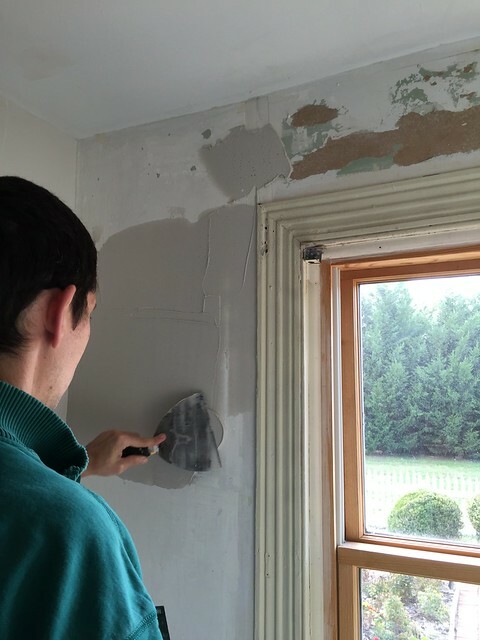 Ah caulk - the homeowner's DIY secret weapon. My husband grew up building houses with his dad and swears by it. That's brilliant! 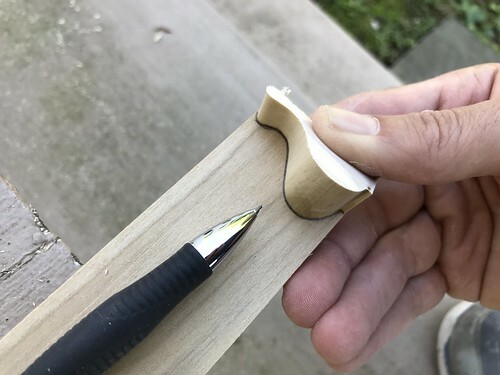 Looks way better than traditional mitering. Looking much better, amazing work! 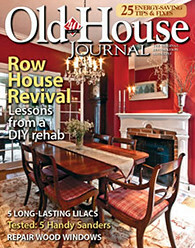 Must offer some coping comments here (the old way)! You had it right until you scribed the profile on the back of the molding. After you miter the end, grab your coping saw (handsaw) and swing it back 90 degrees from the miter and cut along the molding profile leaving just a hair of the miter edge you just cut. Clean up the cut with a rat-tail file, right up to profile edge. Now it will fit like a glove since the only the contoured edge of the molding touches the other molding. 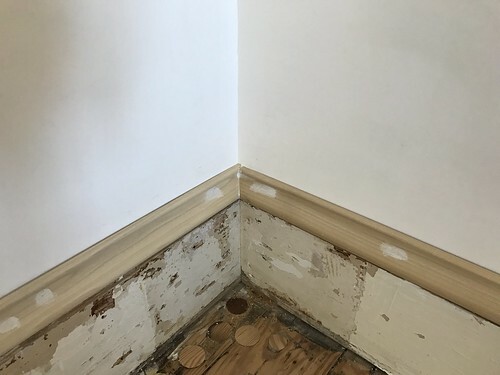 And here's the beauty - even if the cut is off just a bit, you can "tap" the molding into the other with a hammer - that sharp edge will conform the two moldings together, no caulk needed! And when thinking about which molding to cope, it's the one inline with your sightline. 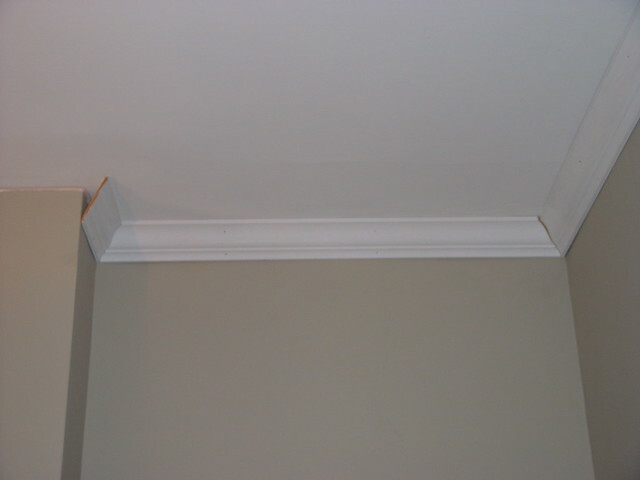 The uncut molding should always "run behind" the corner you are looking at so you never see a gap! out of one who ain't." The "traditional way" has always been to cope the inside corners. Miters have only become acceptable recently as our apprentice programs have disappeared. When choosing which piece will be straight and which will be coped, look at the room from the entrance. Do not have the coped joint directly visible from the entry. If you are struggling with the coping saw, reverse the blade to get a cleaner cut.